As I’m finishing up my very first Book Challenge, I’ve been thinking a lot about how to share all that I’ve read and learned through this challenge in the past eight or so months with you all in the internet world. Once I’ve finished reading all of the books on the list, which will probably happen sometime in August, I’ll post a superlatives of sort. I spent a couple very enjoyable hours yesterday in an Excel document marking which books were my favorites, least favorites, the saddest, the most surprising, etc. Yesterday I also located some of the quotes I’ve been keeping track of (with many more at my apartment in notebooks) as I’ve read and typed up my favorites. I knew I wanted to share my favorite quotes from the books, or at least some of the books, because a lot of these authors have really good, beautiful, silly, funny, intelligent things to say and though you might have not eight or so months to dedicate to reading 100 children’s chapter books, you might have a moment or so to read a quote that might inspire you or make you laugh. So I’ve decided to do what I do best – take other people’s words and other people’s photos and put them together to make something great that I really had nothing to do with. 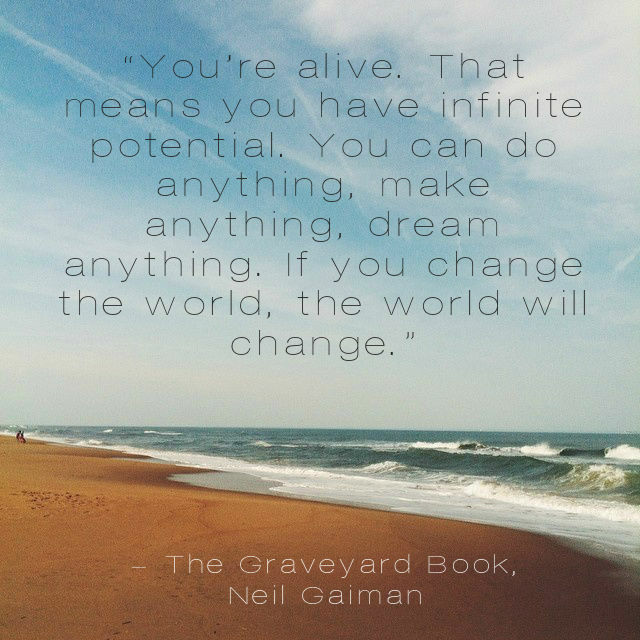 I’ll be sharing my favorite quotes from my very first Book Challenge (hopefully the first of many! Lists are fun!) on my Tumblr, tattooedmissionary.tumblr.com. In addition to book quotes, I post other inspirational, funny, encouraging words over there, mostly words I didn’t write plastered onto photos I didn’t take, but I do my best to give credit where credit is due! Check it out! And keep checking back here for the 100 Best Children’s Chapter Books Superlatives, coming soon. Like what you see? Check out my Tumblr for more!